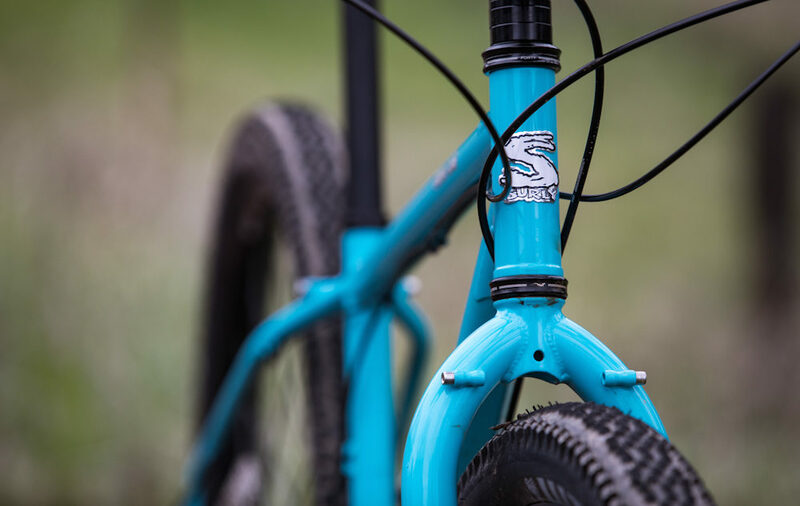 Since the Troll was released in 2010, Surly has been creating more off-road touring bikes than you’d have thought imaginable. They make bikes for every wheel and tyre option, in fact, you can find models rolling on 26″, 26+, 650B, 27+, 700C, 29er & 29+. You’re probably confused about the choice, heck – I write about this stuff and I’m sometimes confused! There’s no need to beat around the bush here. The 2018 Surly Bridge Club is a better value Surly Troll with 27.5″ wheels and only a handful fewer features. The biggest difference to the Troll in terms of frame geometry is the bottom bracket height. 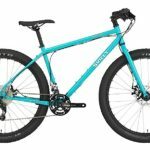 The bike employs more bottom bracket drop in order to suit both a set of larger diameter 27.5 x 2.8″ tyres (724mm) or a 700 x 47mm wheelset (716mm). Like the Troll you can even run 26 x 3.0″ wheels (711mm) in the bike if you like. Otherwise, the extra small sized Bridge Club has an ever so slacker head angle to provide additional toe clearance given the larger wheels. 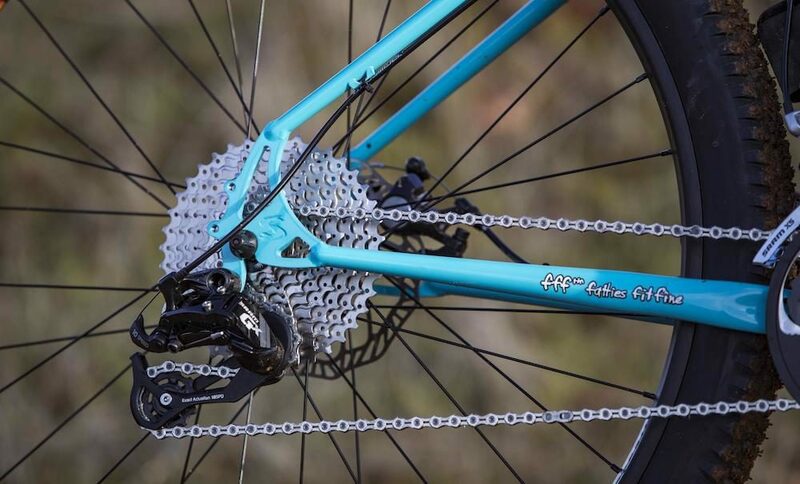 The gear ratios of the 2×10 SRAM drivetrain are ideal for off-road terrain and are lower than almost any other touring bike available. The low gear is 17 gear inches which translates to a climbing speed of 4.9km/h (3MPH) at a pedal cadence of 60RPM. This is about as low as practical and will probably allow you to optimise your cadence even on 15%+ gradients. A SRAM Blaze 36/24t crankset paired with a wide range 11-40t cassette makes this possible. The rear hub spacing seems to be controversial, but it need not be. The rear end is spaced 3mm wider than the usual 135mm, but also 3mm narrower than the 141mm hub that the bike comes with. 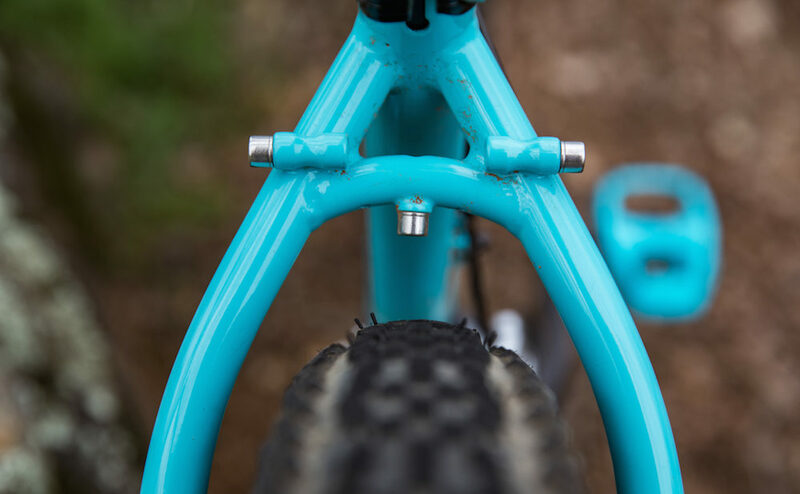 This means that the frame will need to flex 1.5mm on either side of the hub to close a quick release lever, should you use a regular 135mm hub. Not a big deal. Surly built this wider rear end to achieve better chainring clearance and wider volume tyres without making the chainstay longer than it needed to be. The 2018 Surly Bridge Club still has all the braze-ons you need for bike travel. There’s ample space for front and rear racks, fenders and cargo cages. You can find 3-boss cargo mounts above and below the downtube on all but the extra small frame. 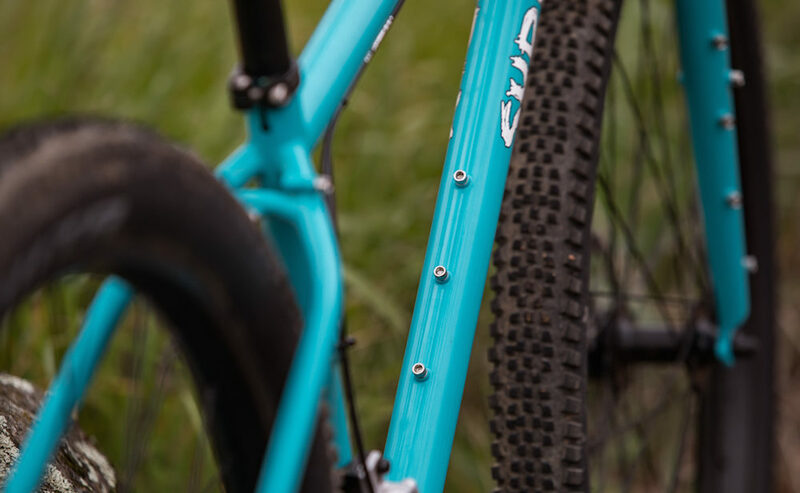 The tapered fork has a set of upper mounts to suit Surly’s 8-Pack and 24-Pack racks. You can also fit standard lowrider front racks and a set of full-length fenders (I recommend using the Fender Flute to achieve a nice fitment). 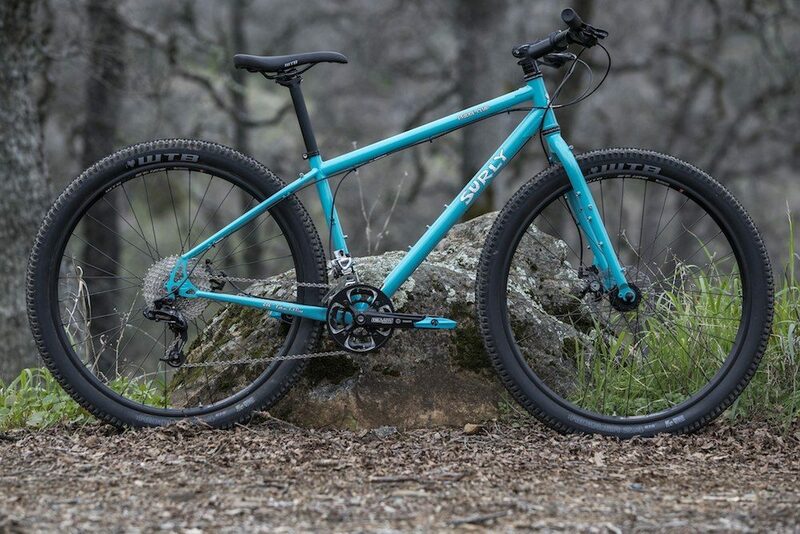 The 2018 Surly Bridge Club is available as a complete bike only in five different sizes. 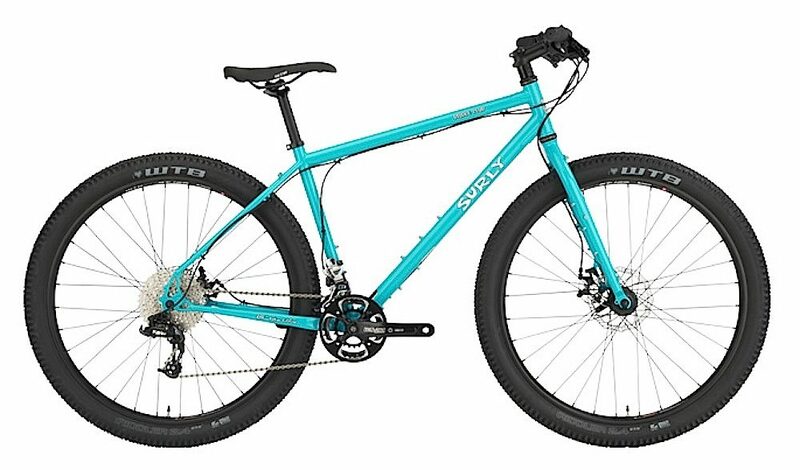 It comes with tubeless ready WTB i29 rims, 27.5 x 2.4” WTB Riddler tires, Promax cable disc brakes and a comfortable 17-degree sweptback Salsa handlebar. It retails for US $1200 which is a tidy 30% saving over the Troll. You can find the full specification HERE.